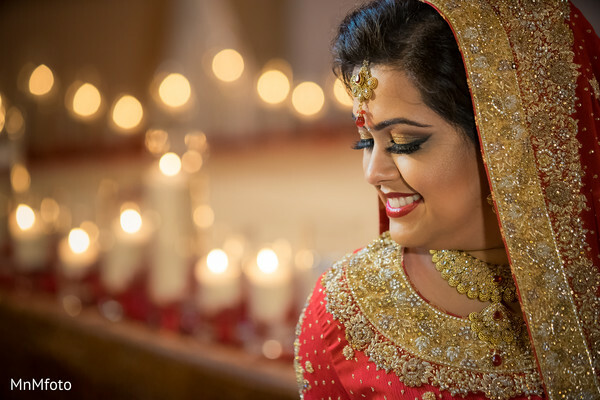 Maharani Janoo just got all glammed up at the hands of hair and makeup artists from Ishnae & Co., and she's ready to reveal her bridal look to the Raja of her dreams, Kalyan. 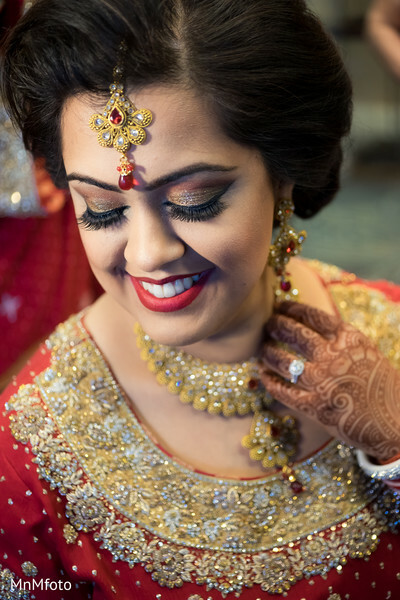 Dressed in a traditional red and gold wedding lengha, with the most dazzling jewels and mehndi by Infinite Perfection on point, we're certain she's going to take her hubby-to-be's breath away. 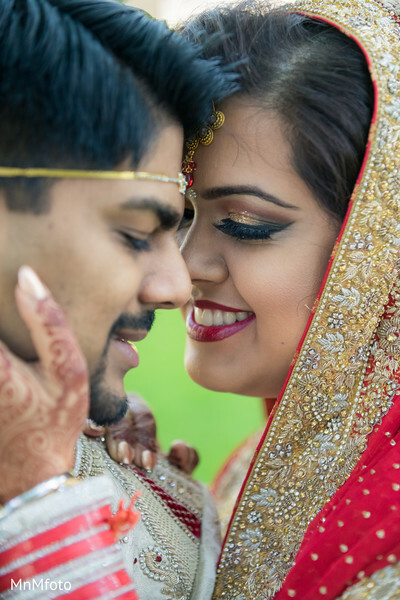 MnMfoto captured the happy pair's first look and pre-ceremony portraits just beautifully. 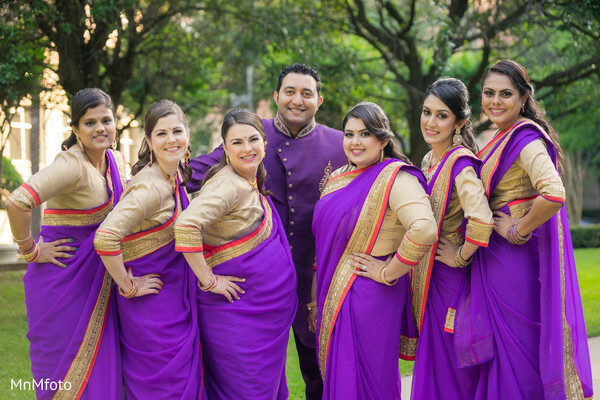 The groom is as handsome as can be in his light cream-colored sherwani, and the wedding party pops perfectly in their vibrant purple ensembles. 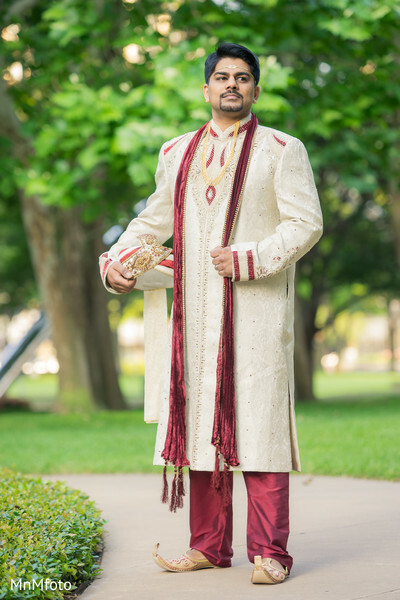 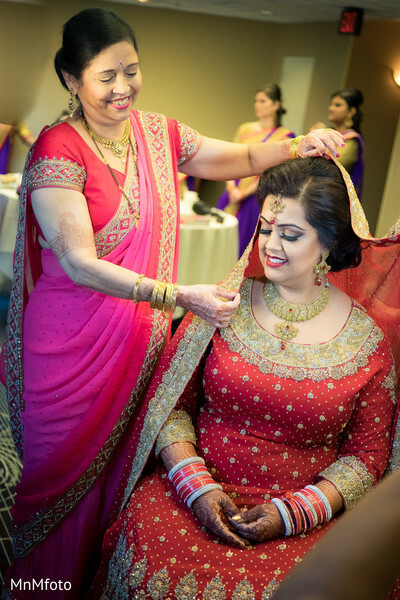 In just a bit, we'll get an exclusive look into the ceremony details from this unforgettable Indian wedding event at the Hilton Houston Post Oak, but in the meantime, you can fill up on even more sublime portraits in the complete gallery! 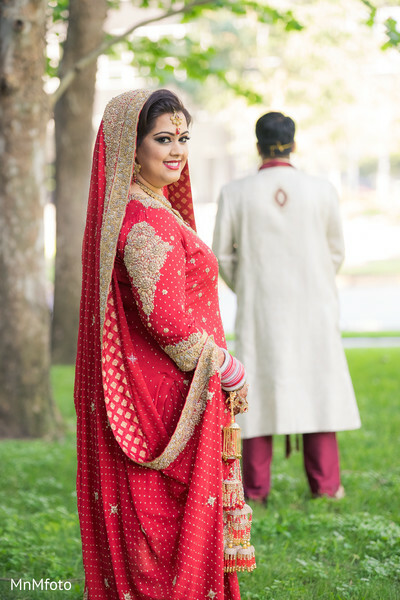 See you in a bit, Maharanis! 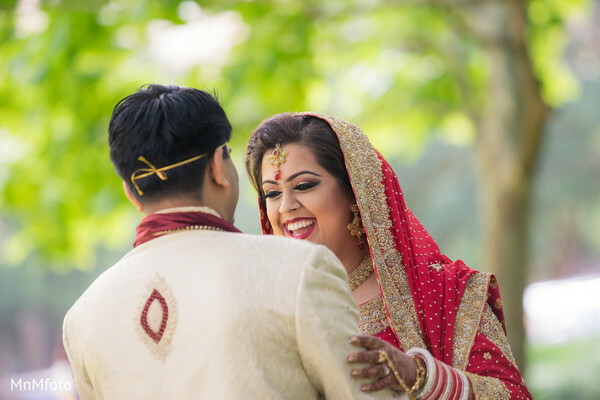 Don't miss out on some seriously inspiring ceremony decor!